Our Learning Tree sprouts new leaves. Who has shown they are a good learner? 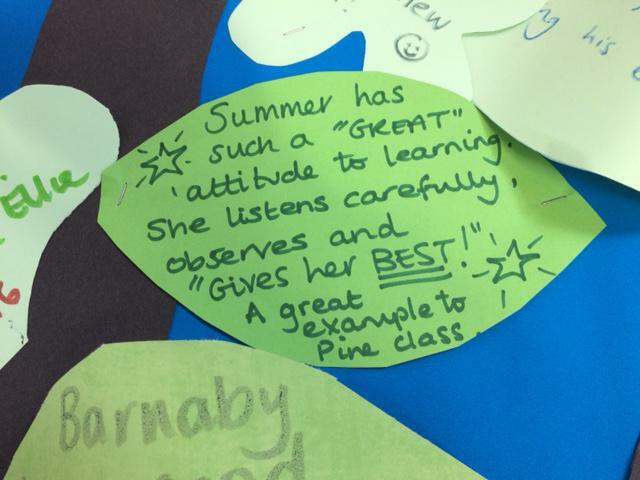 At The Grove we encourage children to recognise that EFFORT is the thing we value most. If you do your spelling test and always get 10/10, then are you learning? Maybe, but maybe not! And then, one week, you suddenly only get 7/10. How do you feel? The bottom line is, that we learn through trying difficult new things, sometimes getting it wrong, but through putting in a lot of effort we eventually get it right. So children have to be prepared to keep going, accept failure and feel ok about making mistakes. The modern world often shelters children from these challenges, and at some children need a lot of encouragement to keep going. Every week children are selected by teaching staff for recognition and praise if they have demonstrated growth mindset. It might be connected to their academic progress, but it could also be for some other aspect of school life: being a better friend, demonstrating great persistence or something else! 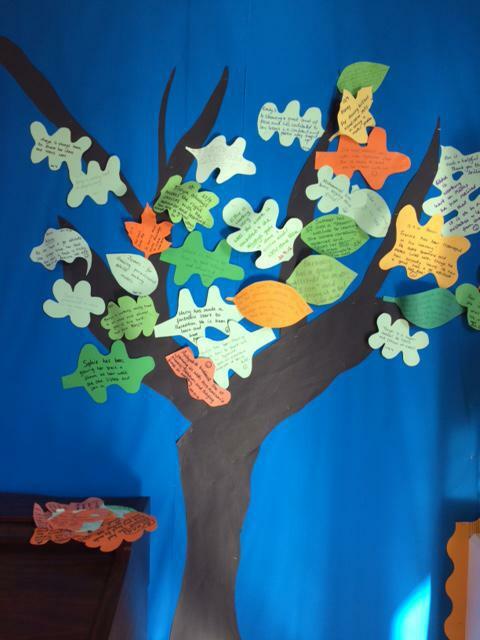 In the hall the tree sprouts leaves, that remind us all how well everyone is getting on: growing our brains!